According to the Sun, Jurgen Klopp has “jumped the queue” in the race to sign Burnley defender Michael Keane in a £30 million deal this summer ahead of Manchester United, who have been linked heavily with the Englishman over the last few months. The Sun claim that Keane was also close to agreeing a deal with Everton before Jurgen Klopp stepped up his interest in the 24-year old in the last few days. They state that Keane is now more likely to join Liverpool ahead of next season, with Klopp looking to add a quality centre back to partner Joel Matip in defence. They also state that United will get 25% of any fee paid for Keane, who spent 6 months on loan with Burnley from Manchester United before making the deal permanent in January 2015 for an undisclosed fee. 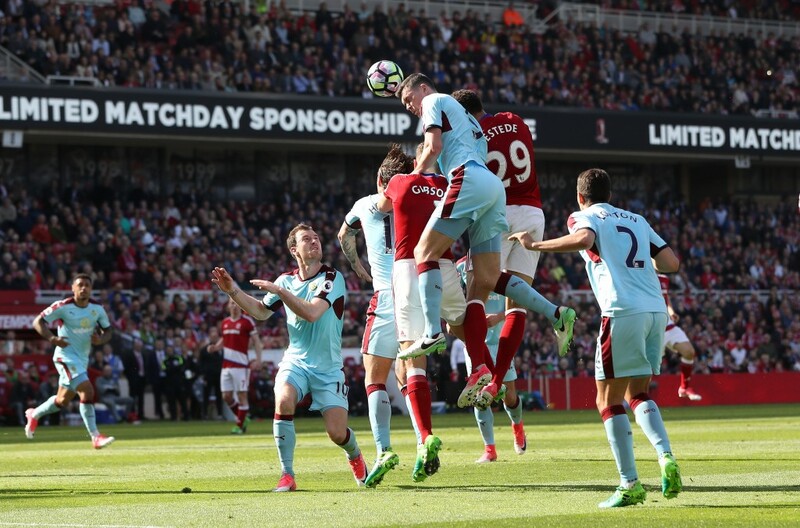 Keane has since gone on to become one of Burnley’s key players and has been one of the most impressive centre backs in the league this season, which led to him being one of six players shortlisted for the 2016-17 PFA Young Player of the Year Award. A strong player who is renowned for his concentration and ability in the air, Keane has been registering an average of 0.65 tackles won, 1.26 blocks, 1.94 interceptions, 3.85 aerial duels won and an impressive 7.03 clearances per 90 minutes in the English Premier League, according to Squawka. Manchester United have been heavily linked with a move for the defender in recent weeks and it is no surprise that the Red Devils are chasing Keane, given his impressive performances this season and their need for a centre back. United have already got a talented young centre back in Eric Bailly and given Keane’s age, he could partner Bailly in central defence for years to come. It also helps that the 24-year old is also well acclimatized to the rigours of the Premier League – something that foreign players often take time to do. Liverpool are also in need of a centre back and have been linked with several players over the last few months, including the likes of Virgil van Dijk – a clear indicator of Klopp’s preference to opt for a player from the Premier League as well. Dejan Lovren has improved this season but has remained unconvincing, while the 31-year old Ragnar Klavan was signed purely as a squad option. Keane would be able to slot straight into Klopp’s defence ahead of next season, when Liverpool could also have the added pressures of the UEFA Champions League to contend with. Keane will only have one year left on his contract come the end of the season so will not cost an exorbitant amount. But, given that he is already an English international and is only 24 years old, any interested clubs will definitely have to pay over the odds for the Englishman.